"Ankola railway station 2kms right" a roadside signboard indicated that we missed Gokarna somewhere back on the roads. Because as per map Ankola is on the route from Gokarna to Goa. So we decided to stop our bikes and confirm the route. Luckily there was no network in that area. 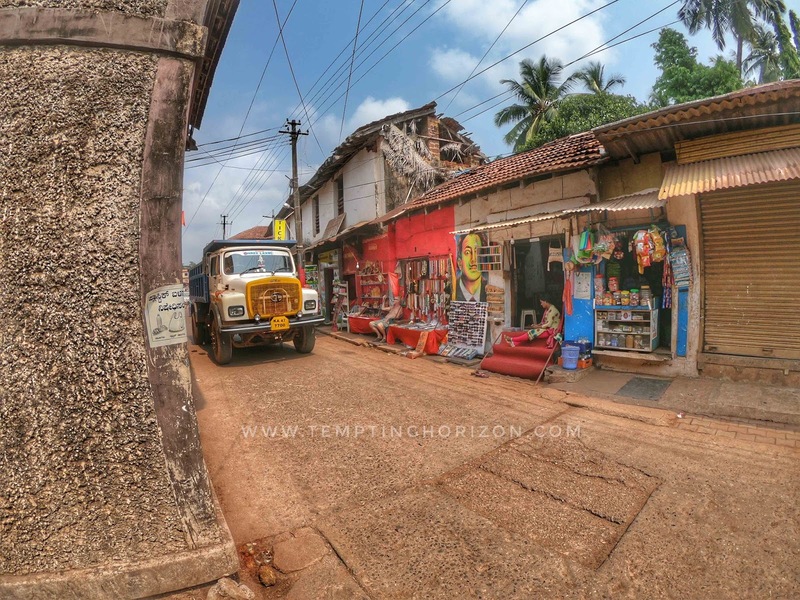 So we ask for the correct route to Gokarna on a nearby shop. The tough thing about the local people in that area that they only know Kannada, not English nor Hindi. Somehow we managed to know that we have to ride back at least 15 km on the same route to catch the road to Gokarna. We started that day from Manglore and our destination was Gokarna. 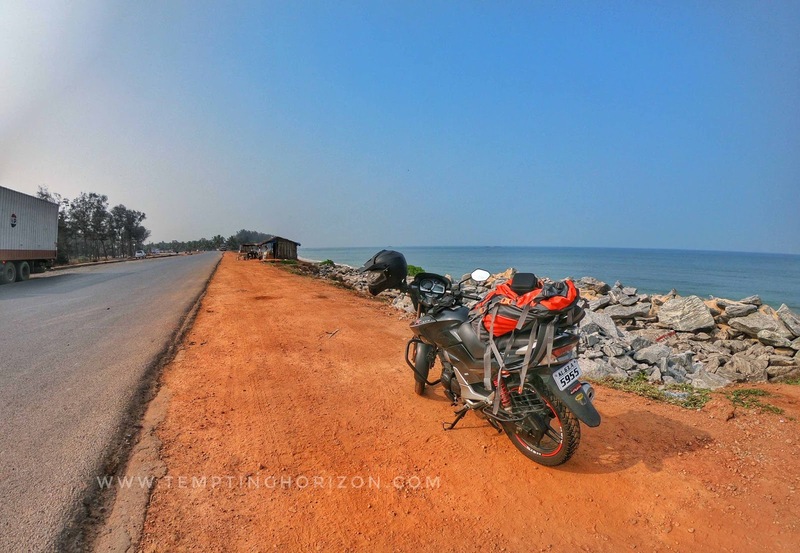 We started off in the early morning and reached Gokarna by noon. Roads were pretty wide and apart from town areas, there was not much traffic on the route. Road works were in progress on that route so there were continuous deviations on the road, other than that the ride was really comfortable. 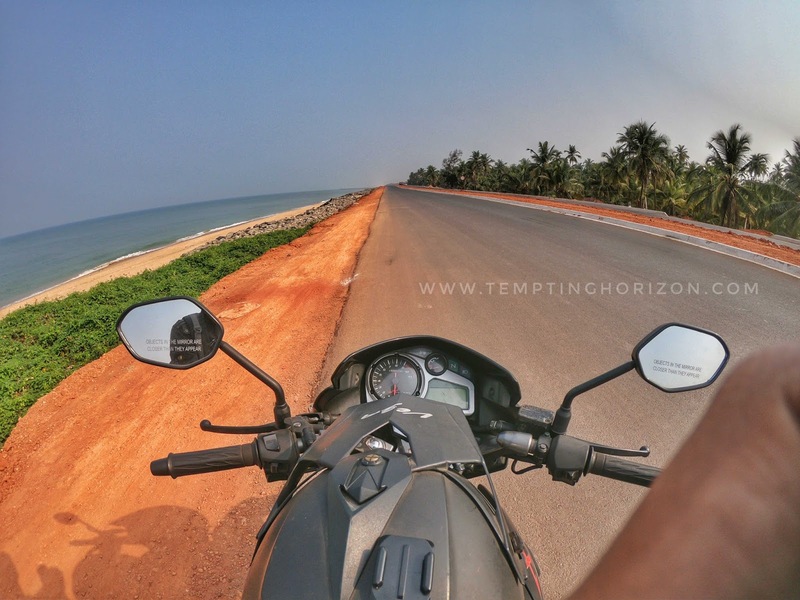 Once we turn from the highways we have to ride another 10-15km to reach Gokarna. That was a really beautiful route, a pakka remote village. 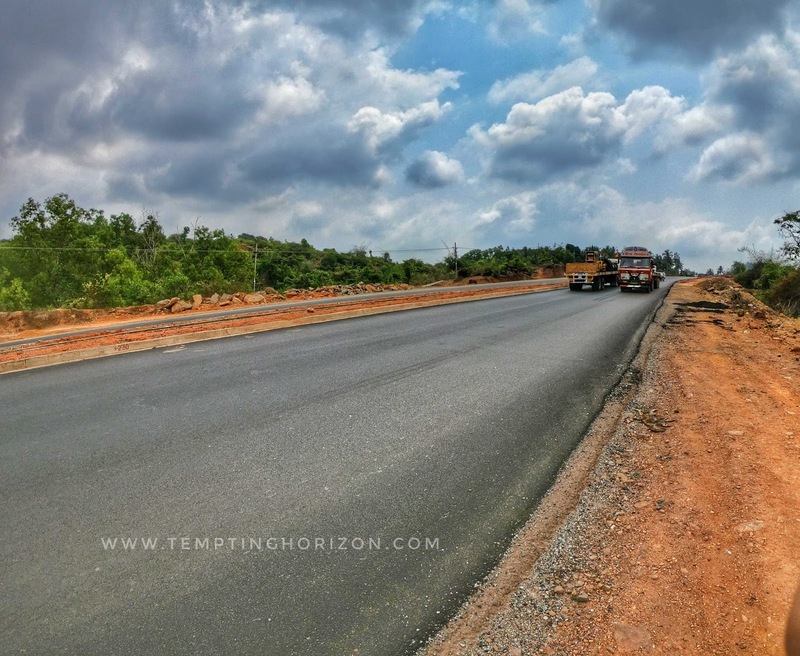 Roadside sceneries were enchanting, surely you will feel refreshed when you cover this route. 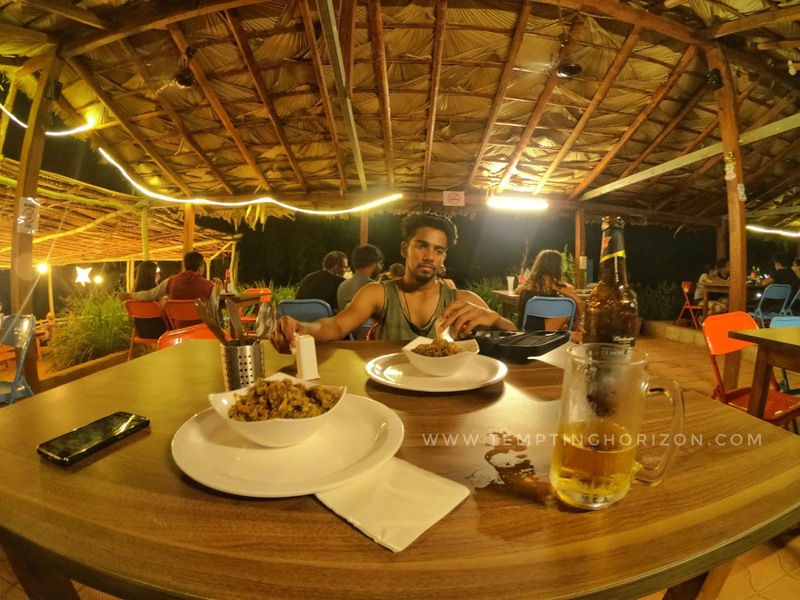 We checked into the hotel when we caught Gokarna, which was already booked through online. MG homes, which was an economic one and near Kudlle beach. 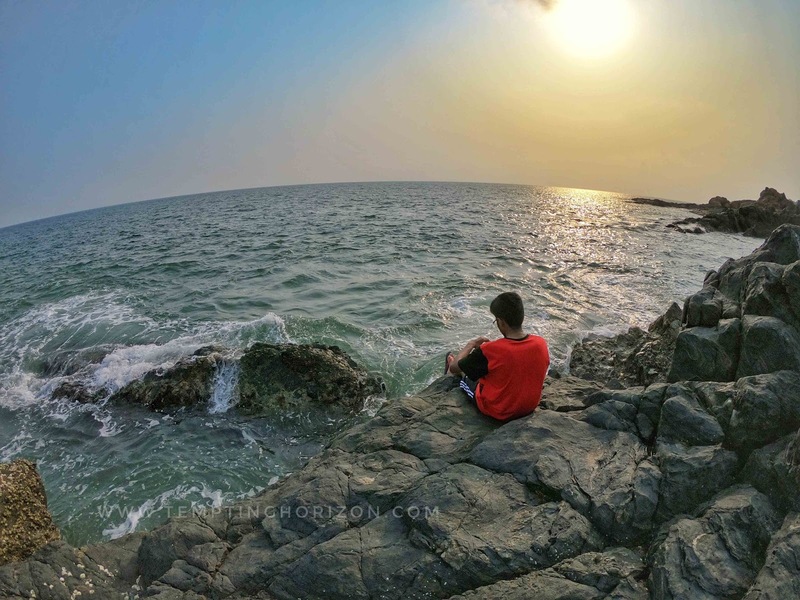 Gokarna is an amazing landscape, all beaches are connected by small roads, also we can trek from beach to beach through the hills. 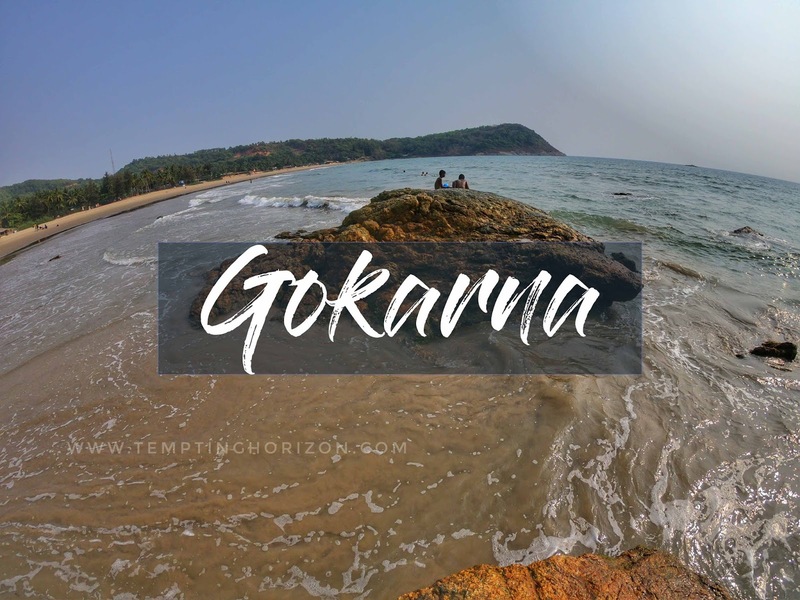 'Gokarna' means cow's ear, it got this name from its shape. 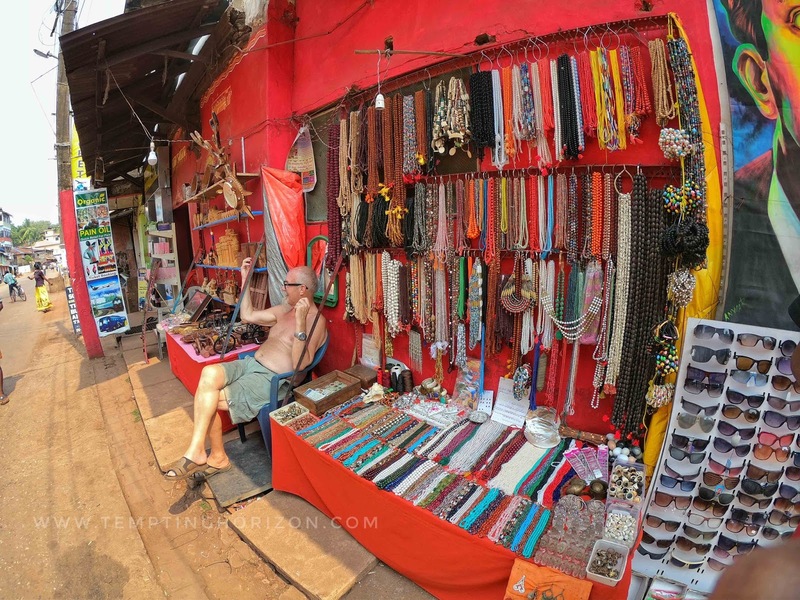 Our first destination was the local market street of Gokarna, near Mahabaleshwar temple. There you can see a mix up of different cultures. Small roads in between shops and houses and it's hard to believe that even heavy vehicles are using the same road. Variety of shops are there. Cloths, jewels, households and any more. It is a must visit place even if you are not planned for shopping still, you will surely get a lot more than that from the street. It was really a worth experience. The first beach we were planned to explore was Kudle beach which was not much far from the hotel. It's 2 minutes walk from the main road. The beach was almost empty other than a few tourists and local kids who were enjoying the waves. Two shacks were there on the entrance of beach where you can enjoy the ambience with a drink. 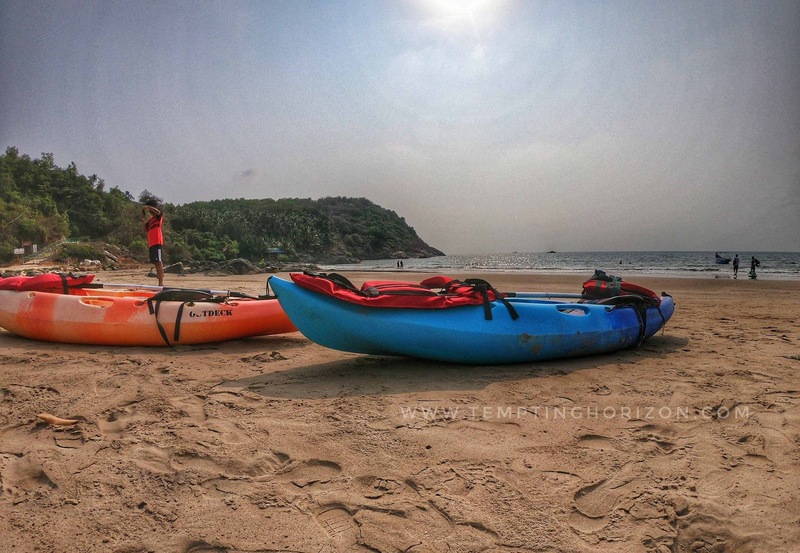 The thing that is special about Gokarna beaches is you will always get your own space to explore the ambience at it's best. Kudle beach is pretty long still, you can walk for as long as you want. You will not get bored. There is paragliding option available near Kudle beach. Don't know how active it is, because which was closed during our visit. Also a Hanuman temple near to that, where they believe hanuman did tapus. 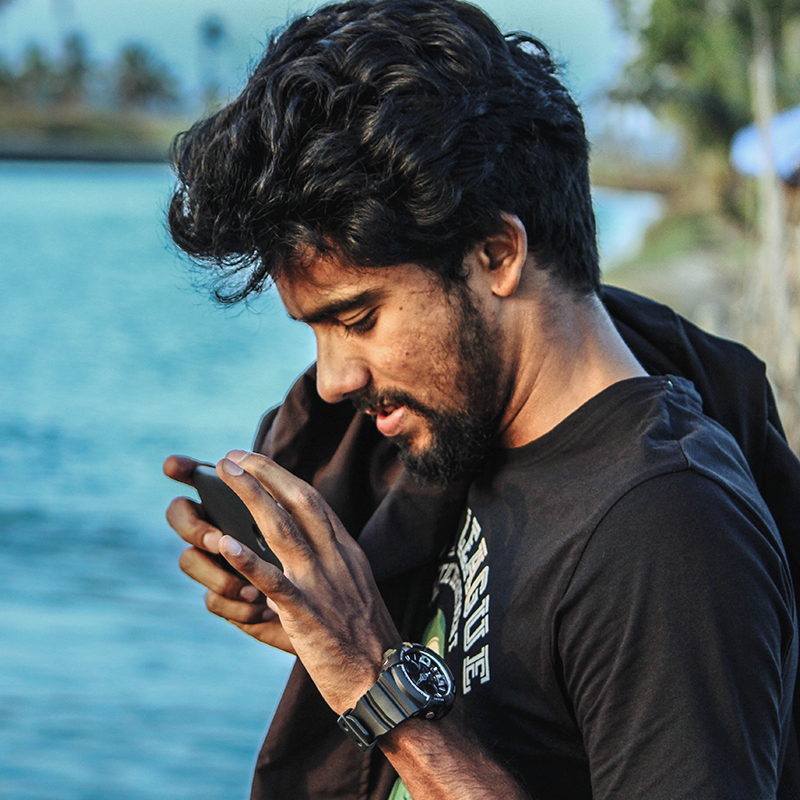 Our next location was Om beach, where we can reach either by trekking from Kudle beach or by road. Due to the lack of time, we choose the second option. 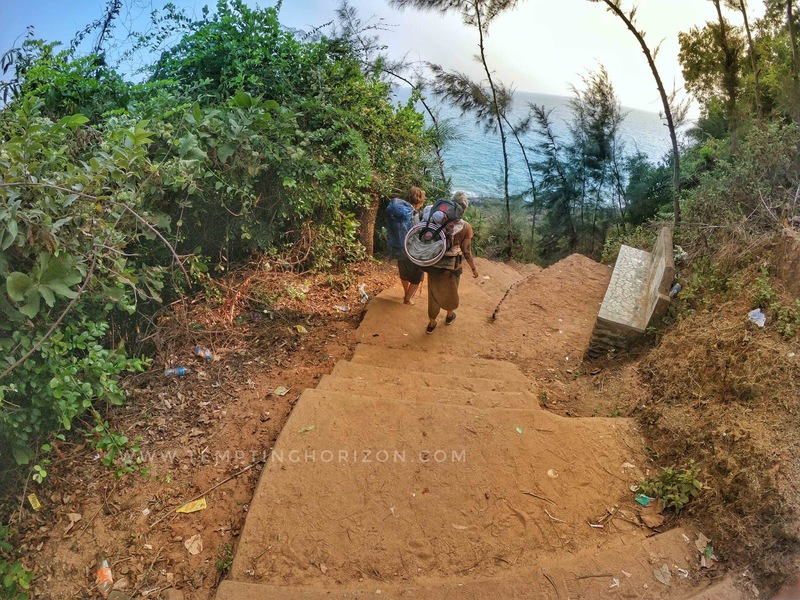 There were tourists who trek from beach to beach, and we confirmed that we will definitely go for the trekking option in the next visit. 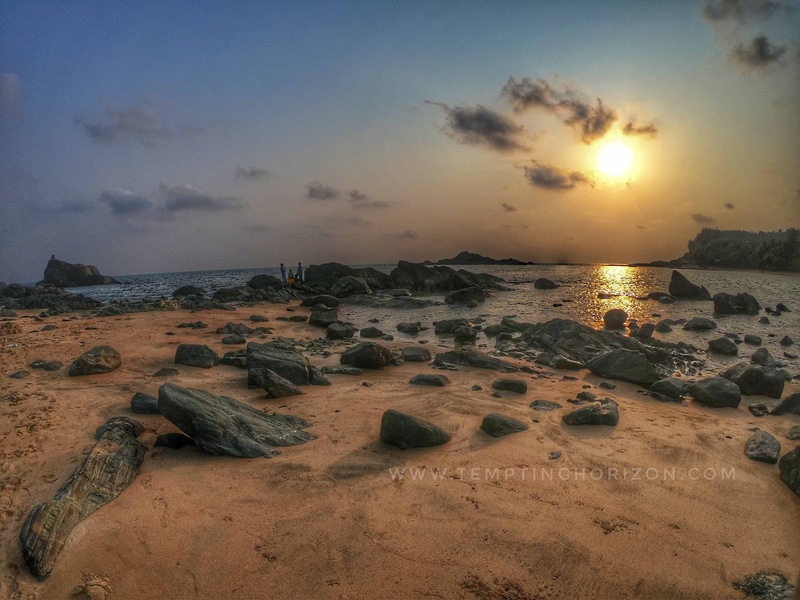 As the name sounds Om beach has an 'Om' shape which is a sacred icon in Hindu religion. Om beach has a portion of which is filled with sharp rock structure. We had a perfect sunset there. 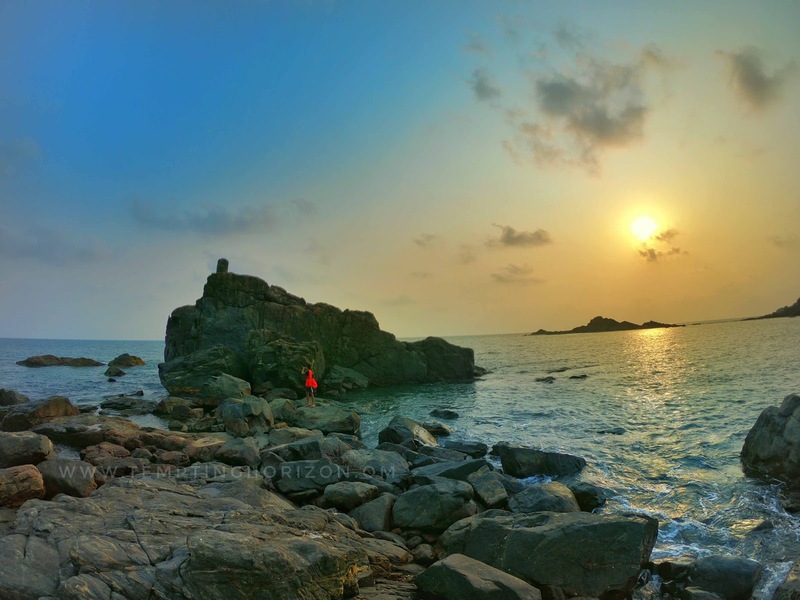 I believe in Gokarna, Om beach is the best spot where you can enjoy the sunset to it's fullest. When the sun finished his duty for the day we went to the hotel for fresh n up, after that our aim was Gokarna beach. Gokarna main beach is the only beach which will be alive in the night. The reason is the presence of a number of shacks in the beach. We skipped shacks for that time due to the economic reasons. Cows and dogs were wandering all over in Gokarna and they were in good numbers too. We had our dinner from Mantra cafe on the Kudle beach road. Such a cool ambience, we really liked the place. 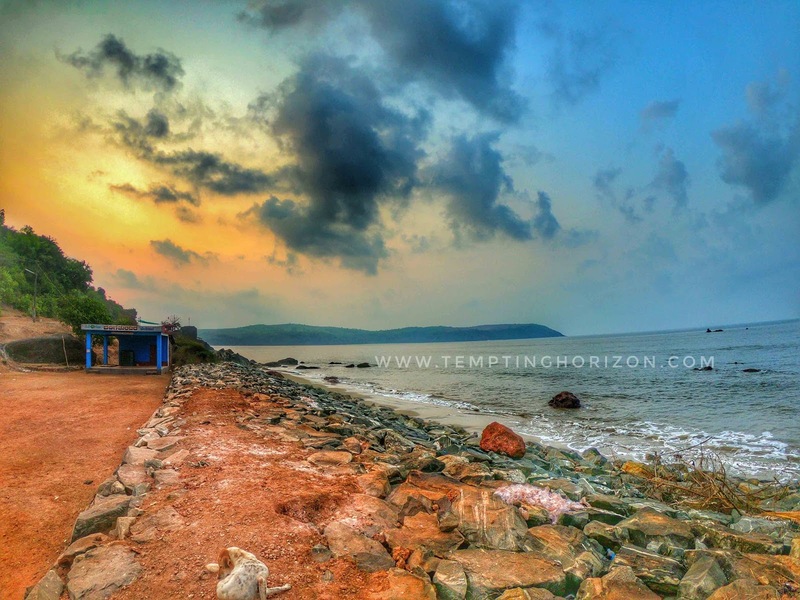 You should also try this one when you visit Gokarna. Next morning was for the Paradise beach which was a bit far from our stay compared other beaches. But the roads to the destination was really charming. There is actually no beach left, we had waited there till sunrise. We were the only tourists at that spot then. 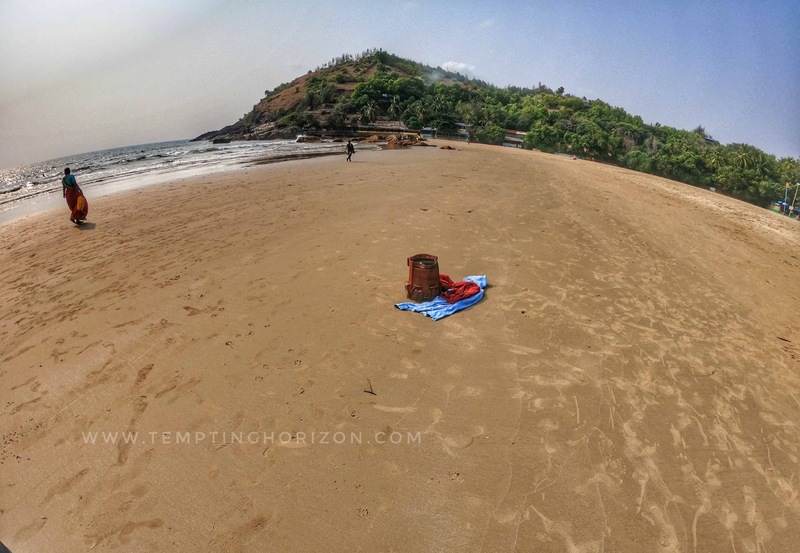 Most of the people coming to Gokarna are avoiding Paradise beach because there is nothing better you can get from Om beach and Kudle beach. But you must visit the spot for the roads to Paradise beach. The ride was worth for the road and the sceneries. After finishing breakfast we waved at Gokarna by adding the unexplored places there to the bucket list for the next visit. 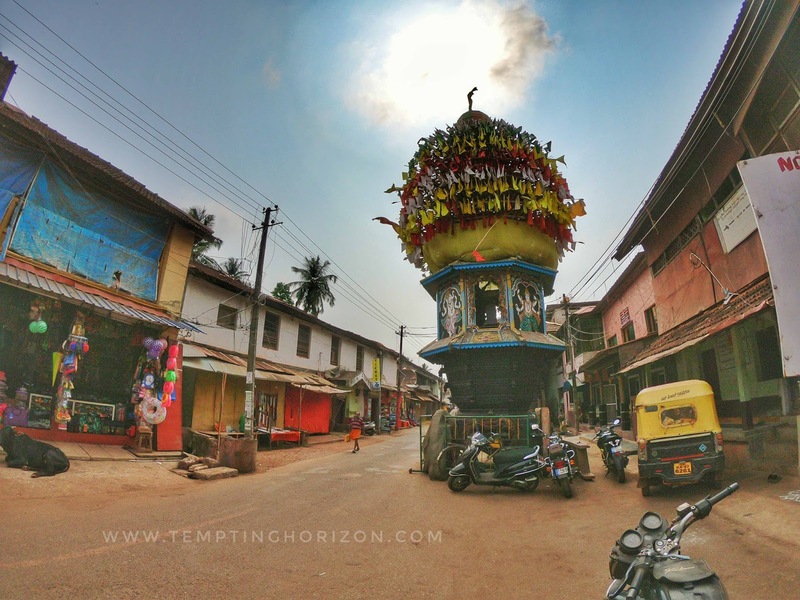 Gokarna is not a place, it is a vibe. And one and half a day is nothing to explore its beauty. We confirmed a return ticket to Gokarna without any doubt while we move on to the roads to Goa. Yes, such a lovely place. That market near to the temple is also a must visit place. We have stayed near that. Thank you so much for sharing a nice post and article you write up. This is really very beautiful destination to visit. Loved your post! We are providing a Same day Agra tour by car which is best for travelling in Agra City. This is the best opportunity for travelers to make your right holiday plan. ;) thank you for the words. Do check the rest of the stories! What a beautiful destination and pictures you captured in your travel trip. Loved your post. Thank you so much for sharing a great post and detail. I would love to visit this place. thank you so much, and you must plan Gokarna. It is such a beautiful place.